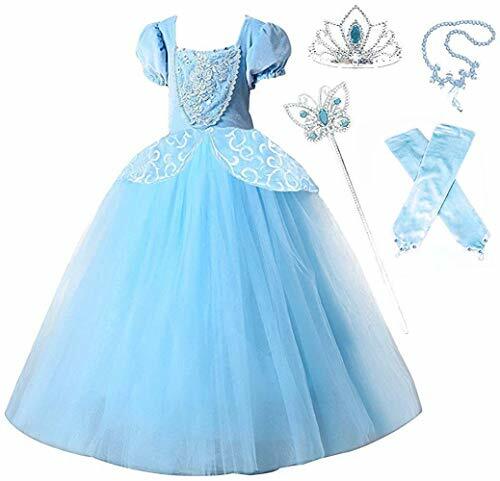 濾DETAILS: Material: Polyester, Nylon Main Color: White Sizes: 2-3Y, 4-5Y, 6-7Y, 8-9Y, 10-12Y Package included: 1pc dress + 1pc unicorn headband + 1pc wings 濾SIZE CHART: ·2-3Y (Two to three years old) Skirt length: 30cm ·4-5Y (Four to five years old) Skirt length: 36cm·6-7Y (Six to seven years old) Skirt length: 39cm·8-9Y (Eight to nine years old) Skirt length: 43cm·10-12Y (Ten to twelve years old) Skirt length: 47cmPlease check this Size Chart before you order the dress Please allow 1-3 cm difference in size for hand measuring. 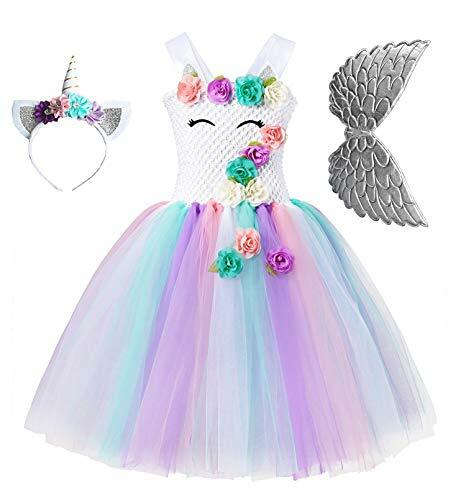 濾GIFT IDEAS:It is the best unicorn clothing to dress up your little baby girls kids princess while in a birthday party, wedding, ceremony or another great day in her life! 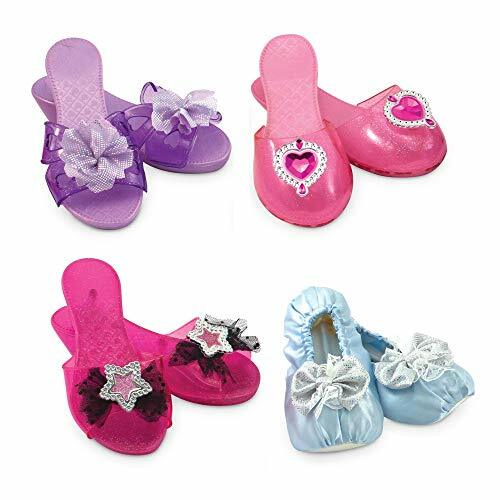 It is ideal as a perfect gift for your children family members at any time you want to surprise your loved ones, whether it be leisure or some special days such as birthdays, Christmas, New Year, dress up, photo shoot, wedding, party, costume, etc. 濾GARMENT CARE:1) Hand wash Cold Separately and hang to dry;2) Do not wring. Flat dry in a shady place, Do not Dry Clean;3) No Bleach, Line Dry, Cool Iron if Needed;4) Avoid vigorously rubbing in the process of washing;5) Do not iron. Stream ironing may cause irreversible damage. 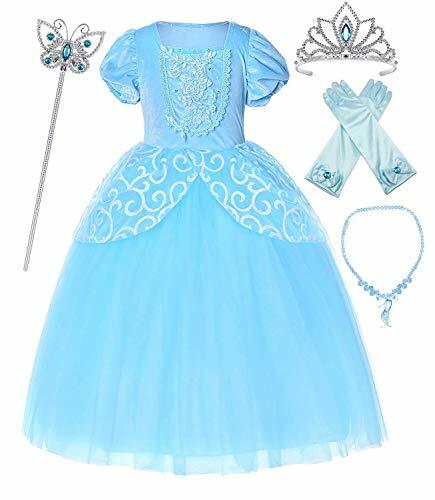 Kids can play out their favorite adventures from Disney movies with this complete collection of 12 Disney Princess dolls with dresses and shoes. The royal collection includes Disney's Ariel, Aurora, Belle, Cinderella, Jasmine, Merida, Mulan, Pocahontas, Rapunzel, snow white, and Tiana. Also included is Disney's Moana of Oceania! each doll in the set comes dressed in their beautiful, movie-inspired outfit. 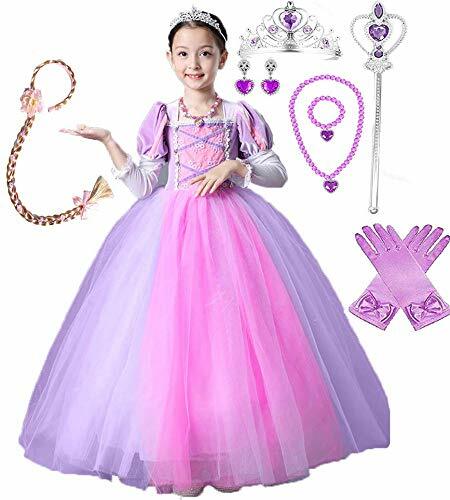 Complete their looks with dazzling fashion accessories, including 2 belts, 3 headbands, 2 necklaces, 1 tiara, and 11 pairs of shoes. 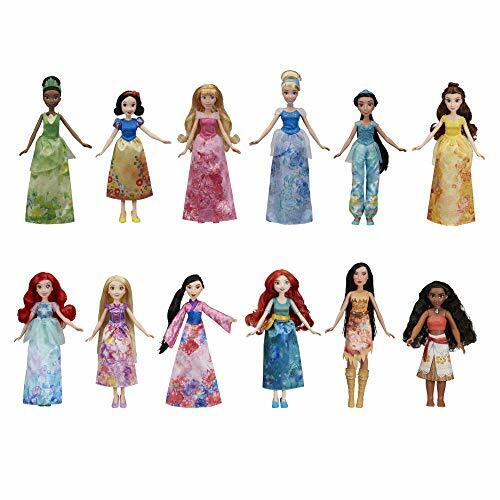 This complete Disney Princess doll collection makes a great toy for kids 3 years old and up who love Disney movies. 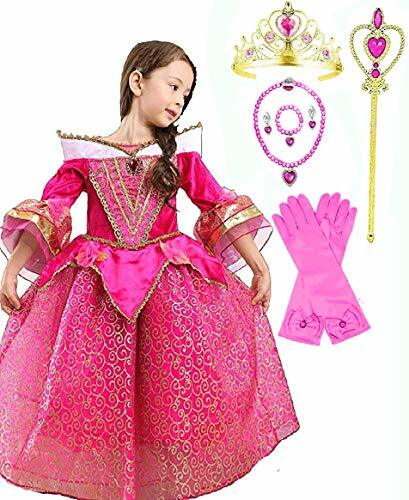 Collect other Disney Princess dolls and playsets (each sold separately) and pretend to journey to worlds where adventure and imagination reign!hasbro and all related terms are trademarks of Hasbro. 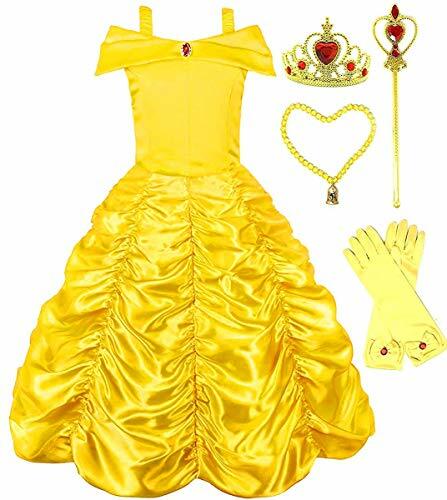 Sleeping Beauty Dress Size Chart: Size 3-4: Bust: 22" Length: 29"; Size 4-5: Bust: 24" Length: 31" Size 5-6: Bust: 26" Length: 33" Size 6-7: Bust: 28" Length: 35" Size 7-8: Bust: 30" Length: 37"